With summer on the horizon, I've got only one thing on my mind: a new bathing suit. Ironically, I absolutely despise purchasing bathing suits, but I adore sifting through pages and pages of online browsing. There are so many trends to try this season. Whether it's scalloped edges, flutter tops, or high waisted bikini bottoms, I am ready to try them all! I've pulled together a few different options that I think are just, well, swimmingly spectactular. What summer suit trend are you excited to try? 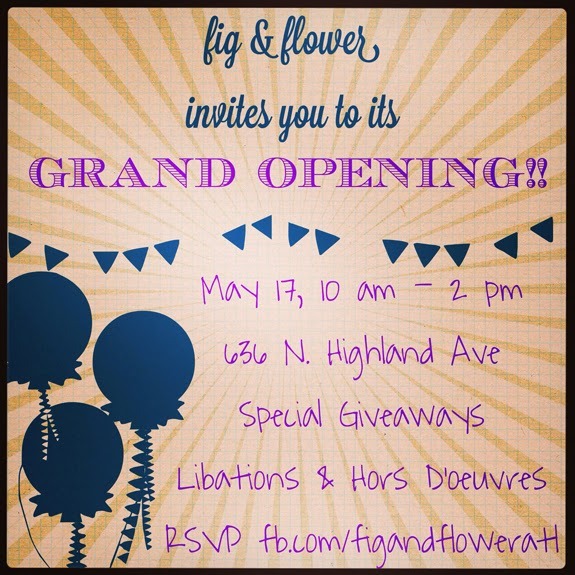 On my agenda for this weekend is a visit with my friends Fig & Flower for their grand opening event. Over the past week, I have fallen in love with some of their products (more on that soon! ), and I have been plotting what else I will buy. Stay tuned for all of the action, plus some pretty amazing beauty products, and if you're in Atlanta, stop by!